FRANKFURT -- New-car sales in western Europe fell 2 percent in July, the first monthly decline since August 2013. Forecasters LMC Automotive said lower demand in France and Germany and one less selling day compared with last year contributed to the drop in registrations. Western Europe sales dropped to 1,070,598 vehicles in July, LMC Automotive said. 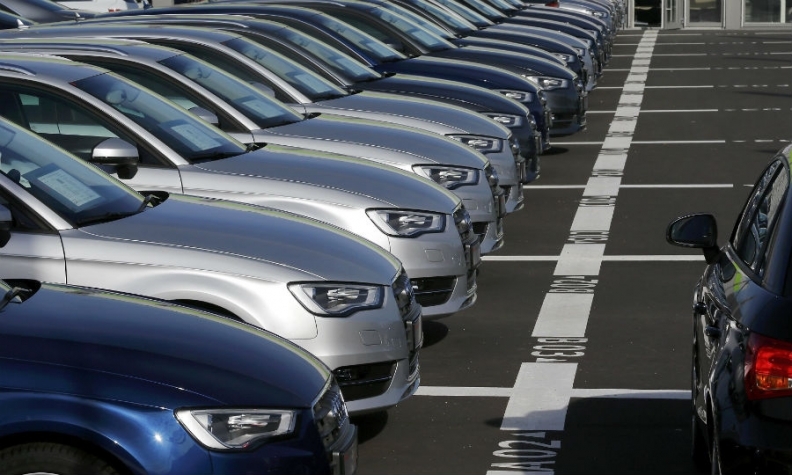 July sales in the Germany, Europe's largest market, contracted 3.9 percent, while deliveries in France, the third largest market in Europe, were down 9.6 percent, LMC data showed. Sales in the UK, the region's second largest market, were up 0.1 percent in July. Among the other top five European markets, sales in Italy grew 2.9 percent while registrations in Spain rose by 4.3 percent. LMC estimates monthly sales based on national registration data and its own forecasts ahead of the official data due to be released by industry association ACEA on Sept. 15.